When people in Denver, Colorado, need assistance with their Social Security Disability Insurance (SSDI) claims, they often require the knowledge of a focused attorney. At Fleet Disability Law, LLC, our attorneys understand that the SSDI process can be daunting. That is why our law office focuses on simplifying the legal process for our valued clients. People who suffer from mental disabilities, physical disabilities or a combination of impairments may be entitled to SSDI benefits. The attorneys at our law office are dedicated to helping clients who are just starting to apply for SSDI benefits, those who have had their applications denied and must go through the appeals process, and those who face hearings regarding their cases. Once people arrive at our law office for a free initial consultation, they are greeted by caring professionals. Our attorneys carefully listen to the details of the matter and explore all potential legal options. We act as an advocate for clients who are unsure of how to traverse the often complicated SSDI application process. Since 2004, lead attorney Scott Wilkonson has practiced law and built a solid reputation for achieving optimal results. Mr. Wilkonson has more than a decade of experience trying cases involving Social Security claims. He has assembled a team of trusted attorneys who provide the level of service his clients have come to expect. 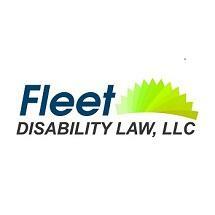 Fleet Disability Law, LLC, accepts credit cards in addition to other forms of payment for our services.